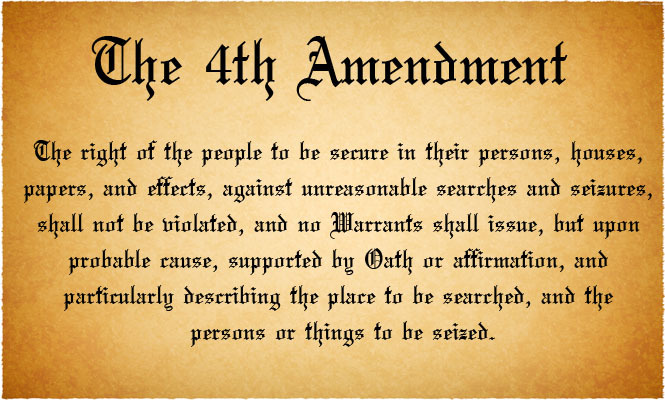 Since Mapp v. Ohio, the United States Supreme Court has held that evidence obtained as a result of a violation of the Fourth Amendment cannot be used in any criminal prosecution of a defendant. This is called the exclusionary rule, and it encompasses both the “primary evidence obtained as a direct result of an illegal search or seizure” and, relevant here, “evidence later discovered and found to be derivative of an illegality,” the so-called “‘fruit of the poisonous tree.’” Until now. Today the Supreme Court ruled that, where a stop is illegal under the 4th Amendment, but where a valid, outstanding arrest warrant is identified as a result of this illegal stop, a search incident to lawful arrest (for the arrest warrant) which results in finding methamphetamine on the accused can result in a that meth being used to prosecute the Defendant. Why? The court’s reasoning was that an exception to the exclusionary rule, the attenuation doctrine, provides for admissibility when the connection between unconstitutional police conduct and the evidence is sufficiently remote or has been interrupted by some intervening circumstance. The case that dictates this rule, Hudson v. Michigan, was about whether the violation of a “knock and announce” rule when serving and executing a search warrant was a sufficient basis to suppress evidence found as a result of the search. The Court today extended this to the mere existence of an outstanding warrant, regardless of the basis and legitimacy of stopping someone to find out their name. “Officer Fackrell discovered drug contraband on Strieff ’s person only minutes after the illegal stop”. “the warrant was valid, it predated Officer Fackrell’s investigation, and it was entirely unconnected with the stop. And once Officer Fackrell discovered the warrant, he had an obligation to arrest Strieff. “A warrant is a judicial mandate to an officer to conduct a search or make an arrest, and the officer has a sworn duty to carry out its provisions.” United States v. Leon, 468 U. S. 897, 920, n. 21 (1984) (internal quotation marks omitted). Officer Fackrell’s arrest of Strieff thus was a ministerial act that was independently compelled by the pre-existing warrant. And once Officer Fackrell was authorized to arrest Strieff, it was undisputedly lawful to search Strieff as an incident of his arrest to protect Officer Fackrell’s safety. See Arizona v. Gant, 556 U. S. 332, 339 (2009) (explaining the permissible scope of searches incident to arrest). Officer Fackrell was at most negligent. In stopping Strieff, Officer Fackrell made two good-faith mistakes. First, he had not observed what time Strieff entered the suspected drug house, so he did not know how long Strieff had been there. Officer Fackrell thus lacked a sufficient basis to conclude that Strieff was a short-term visitor who may have been consummating a drug transaction. Second, because he lacked confirmation that Strieff was a shortterm visitor, Officer Fackrell should have asked Strieff whether he would speak with him, instead of demanding that Strieff do so. Officer Fackrell’s stated purpose was to “find out what was going on [in] the house.” Nothing prevented him from approaching Strieff simply to ask. When we make exception after exception for law enforcement to violate the rights of citizens, we undermine our constitutional rights. Unfortunately, the government won big today against the citizens of this country. Follow me at @DavidTDorer, listen to the David Dorer Show live every Friday (Available on iTunes and on Stitcher). Also, make sure to check out Talking Law with David Dorer every Wednesday. (Available oniTunes and on Stitcher).